Photo by Erich Saide Photography. 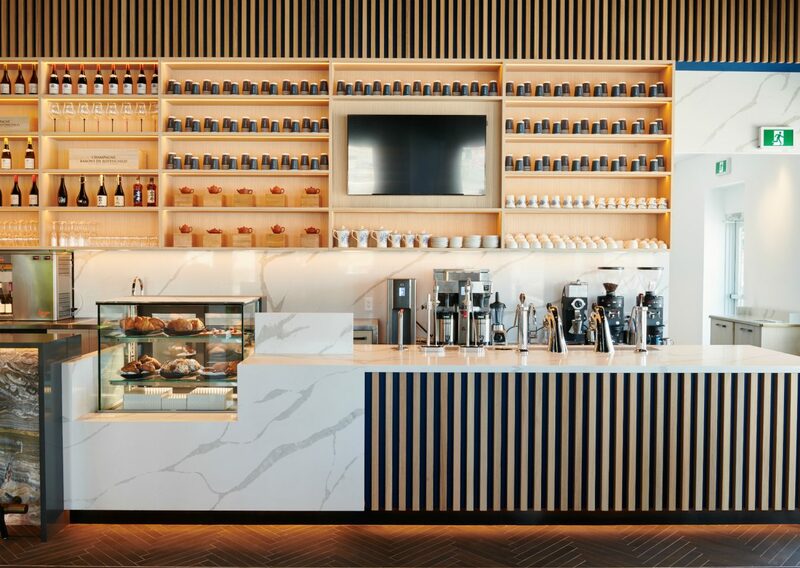 By day, a hub to unwind in while sipping espresso. 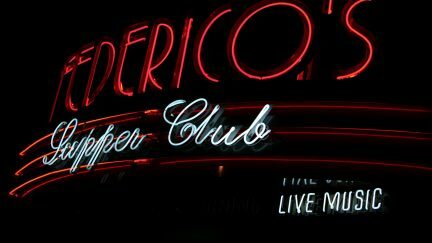 By night, a gathering place in which to indulge. And around the clock, a celebration of east meets west. 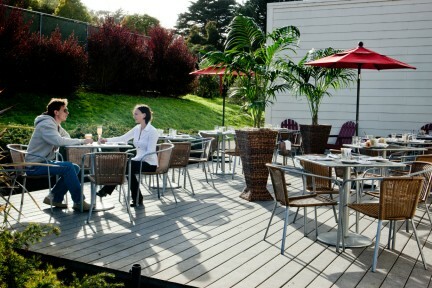 On River Road in Richmond, art, cuisine, and coffee find a crossroads at Origo Club. 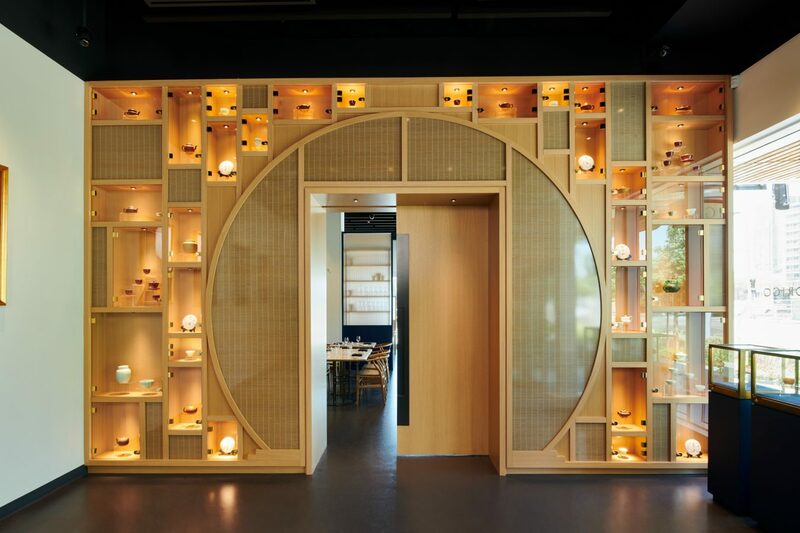 The newest addition to Oval Village is a triple threat: bright cafe, stylish restaurant, and contemporary Asian art gallery all in one. 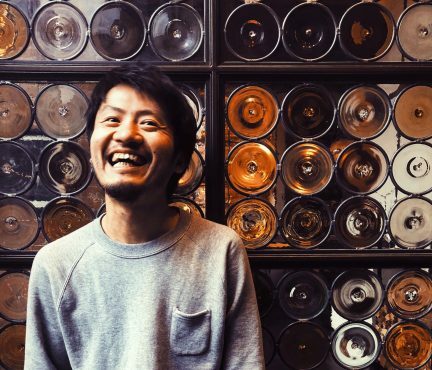 Led by managing partner and wine connoisseur Woody Wu, Origo was in the works for over two years, and has now assembled an experienced team of industry veterans, including alumni from the likes of Anh and Chi, Ermenegildo Zegna, and Chez Christophe. 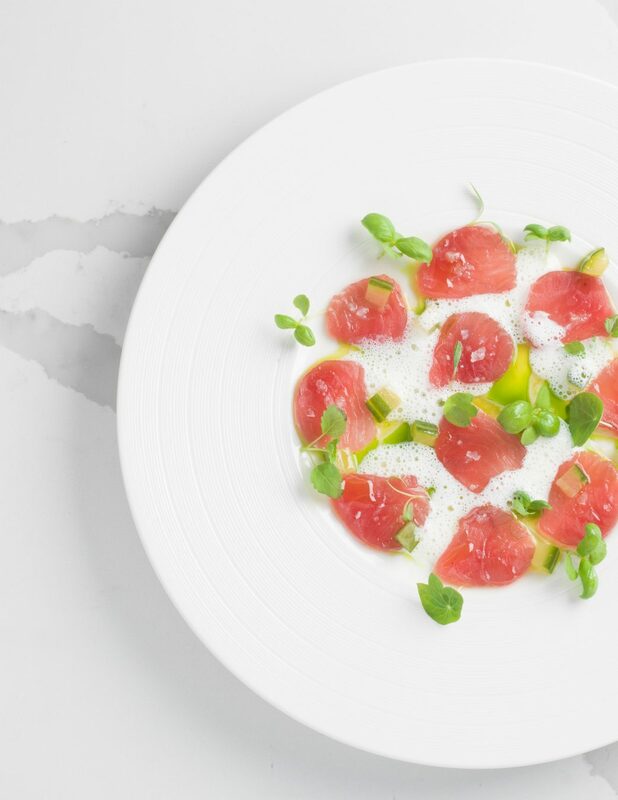 Although Origo is a spin-off of a private members’ club that debuted in Beijing in 2014, its first North American establishment welcomes all to its 42-seat room. Designed by John Henshaw Architect Inc. with branding by Glasfurd & Walker, the 5,200-square-foot space is a collaborative cultural and culinary experience. 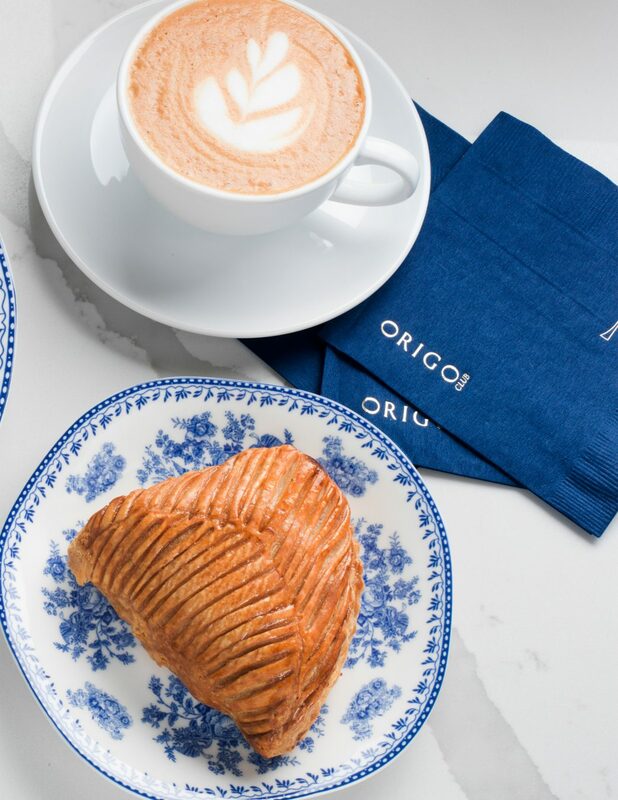 If spending a morning wandering along the nearby Fraser River, wander into Origo’s dining room for lattes and house-baked viennoiseries. While there is a strong pour-over selection here, baristas also create smooth espresso-based drinks on an advanced Modbar brewing system, making this only the fourth coffee shop in British Columbia to have the technology. French bistro-themed touches, like Calacatta-style quartz tabletops, seamlessly intertwine with traditional Chinese design elements, creating a harmoniously relaxing atmosphere. 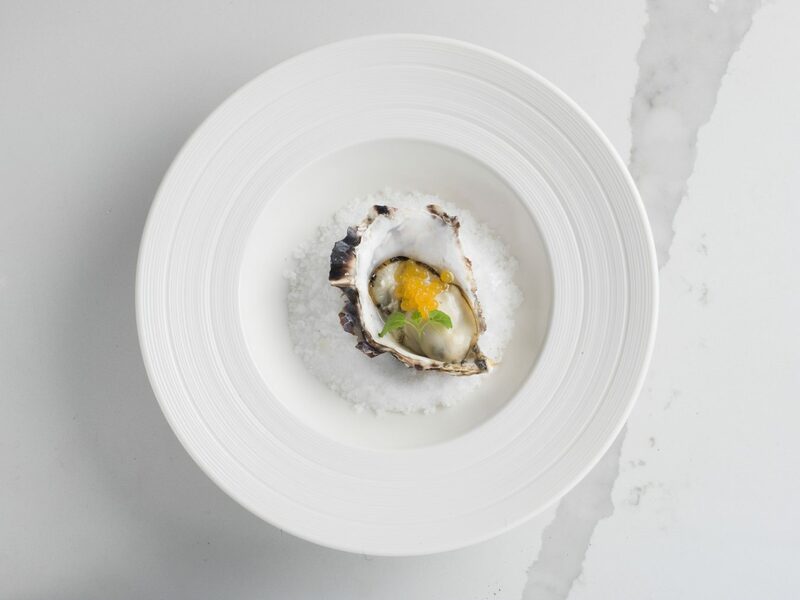 By the time dinner comes around, Origo is ready to tempt the eyes and palate. 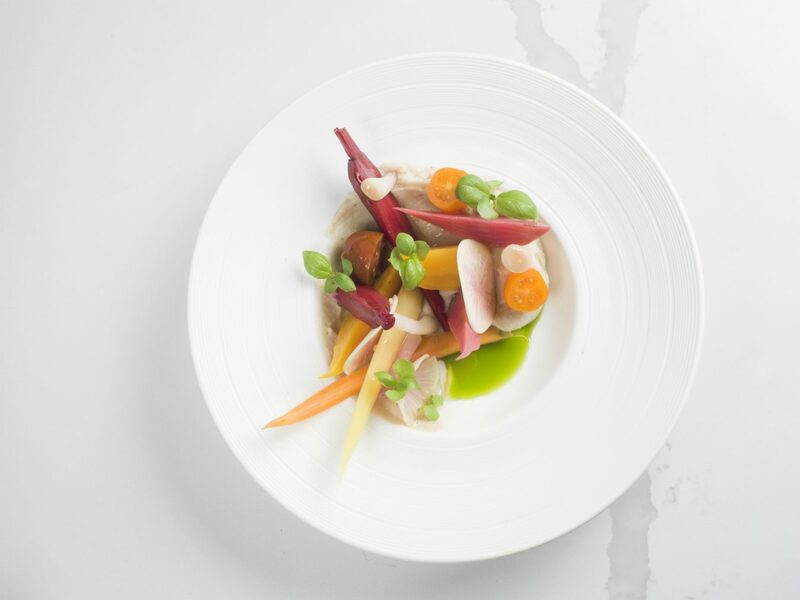 Head chef David Pan, hailing from Bishop’s in Kitsilano, has created a menu that pays homage to authentic French fare, delivering a dining experience unlike anything else in Richmond. Local ingredients play a key role in dishes like the moules et coquillages, salade de kale “Lyonnaise,” and boeuf tartare. 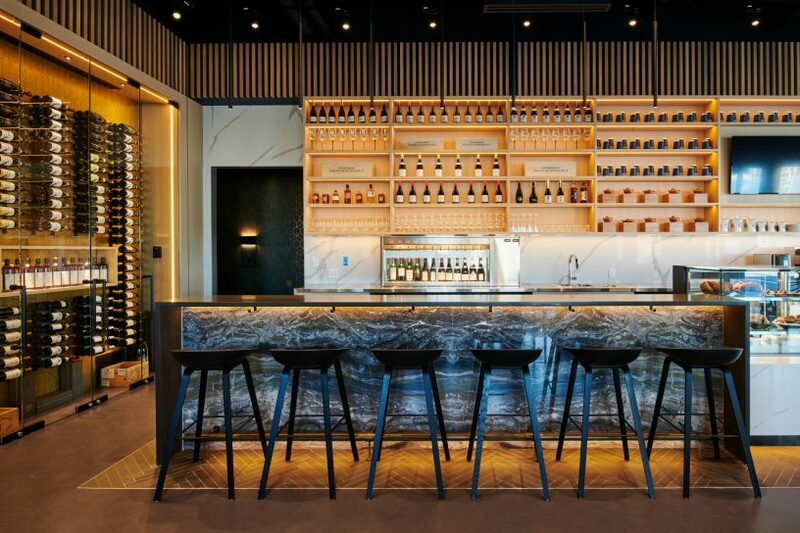 An exclusive array of Burgundian wine and Japanese sake waits behind Origo’s natural stone- and oak-accented bar, ready to be summoned for the main course. 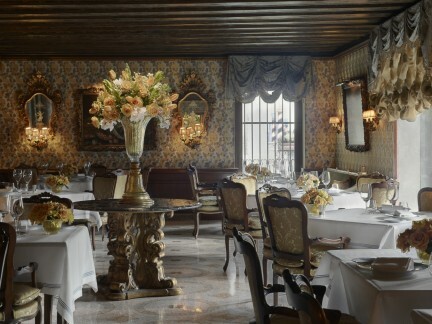 Before sipping a warm cappuccino or sitting down in front of pâtes tortellini au chèvre, guests are welcome to move through the ornate oak “moon gate” that marks the threshold between the restaurant and the adjoining art gallery, which houses more than 400 works. The dining room’s French aesthetic fades away in favour of Chinoiserie-inspired wallpaper and Asian tapestries, pottery, painting, and sculpture, plus a series of hand-painted Tibetan thangka, many of which use real gold in the paint. Here, the past, present, and future of Asian art is beautifully represented. The touch of the textured dishes; the taste of delectable crème brûlée à l’espresso; the sight of remarkable handmade ceramic teapots; the smell of fresh coffee from micro-farms in Jamaica’s Blue Mountains; the sound of a bottle of Barons de Rothschild Champagne being popped. Origo is a place that stimulates all of the senses, and Richmond is better for having it.